My mom has an amazing, large ivy plant. She has had it for as far back as I can remember. The way that its curly tendrils grabbed onto nearby supports as it quietly crept along walls and windowsills always fascinated me as a child. I was over at my mom's house this morning and took a nice fresh cutting from her ivy plant as I thought it would be nice to have one of my own to enjoy. I love rooting plants, they make such great gifts for friends, and they're also a great way to save money while adding more plants to your collection! 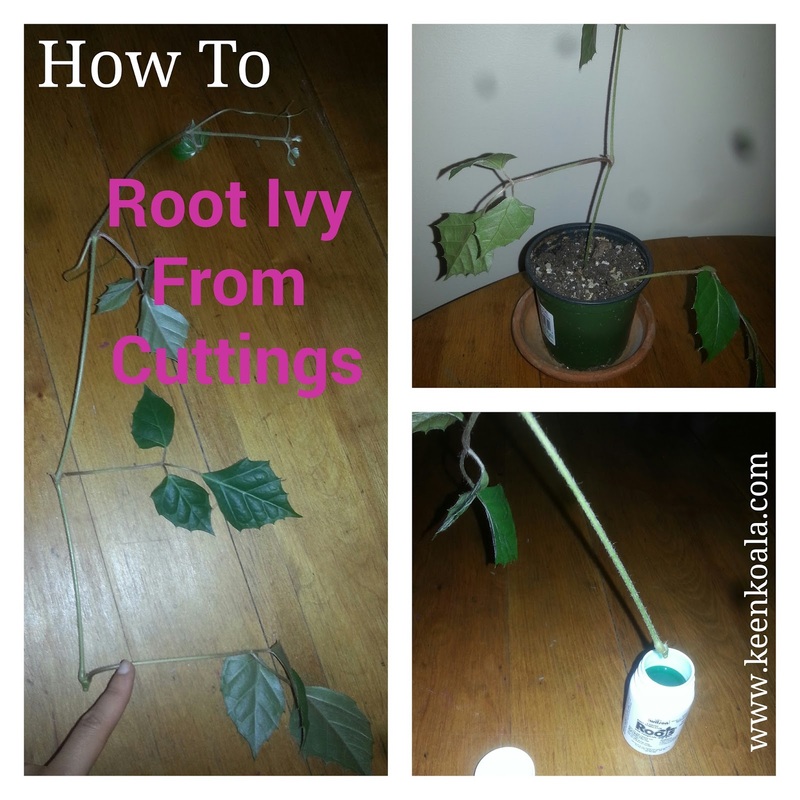 Rooting ivy cuttings is fairly easy, just follow these steps and watch your happy little cuttings take off! In your plant pot, mix together your potting soil and your sand. 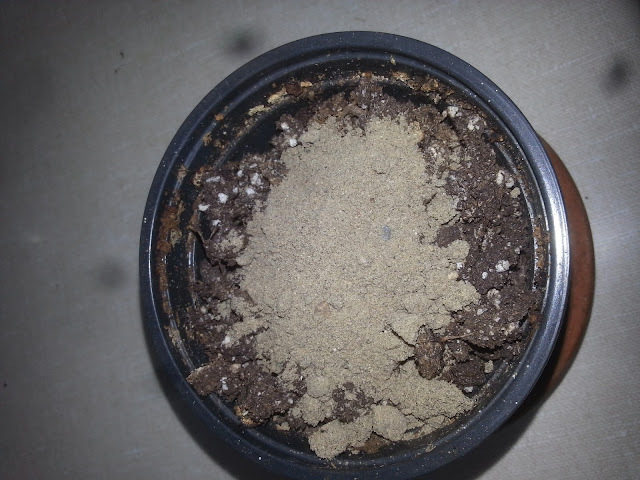 2 parts potting soil and 1 part sand. 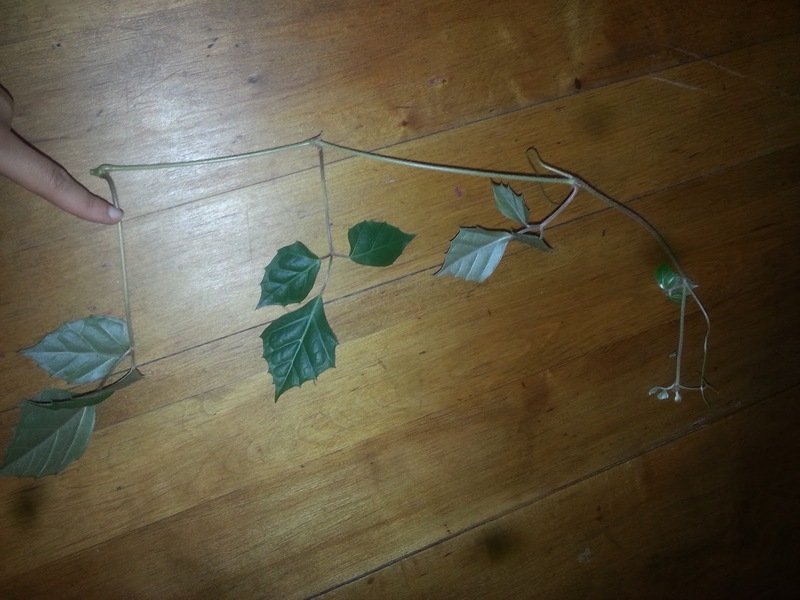 With a clean pair of scissors, cut a couple of stems off of your ivy plant. cut directly below a spot where a leaf is growing. Take the cutting from a newer, green shoot, not an older woody one. Newer growth is easier to root than older growth. In the photo above you can see that I'm pointing at the leaf growing out of the main stem, right above the spot where I cut. You want to pull this leaf off of the stem so that it is completely removed. Roots grow out of these spots where the leaves were growing, so removing this leaf is crucial for successful propagation. 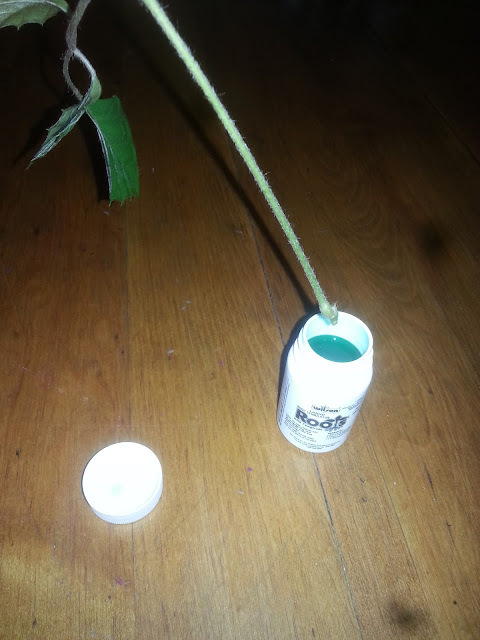 Dip the ends of your cuttings into rooting hormone. Gently poke your cuttings directly into the soil in your prepared pot. Ensure there is good contact between the cutting and the soil. The cutting should be inserted about an inch or so into the soil. 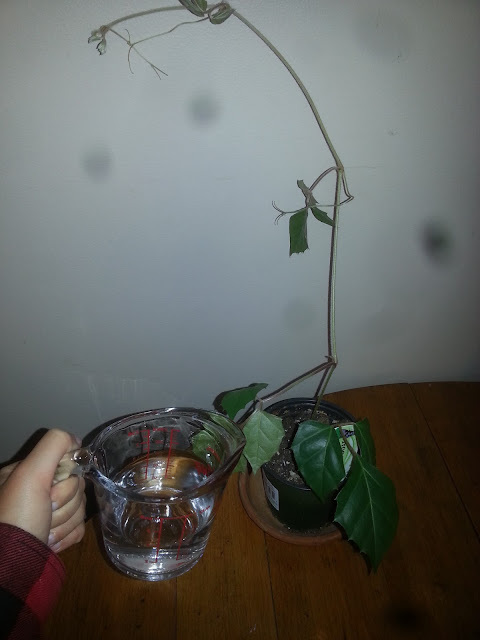 Water your new cuttings gently, but thoroughly. Check on the soil daily to make sure that it stays moist to the touch. 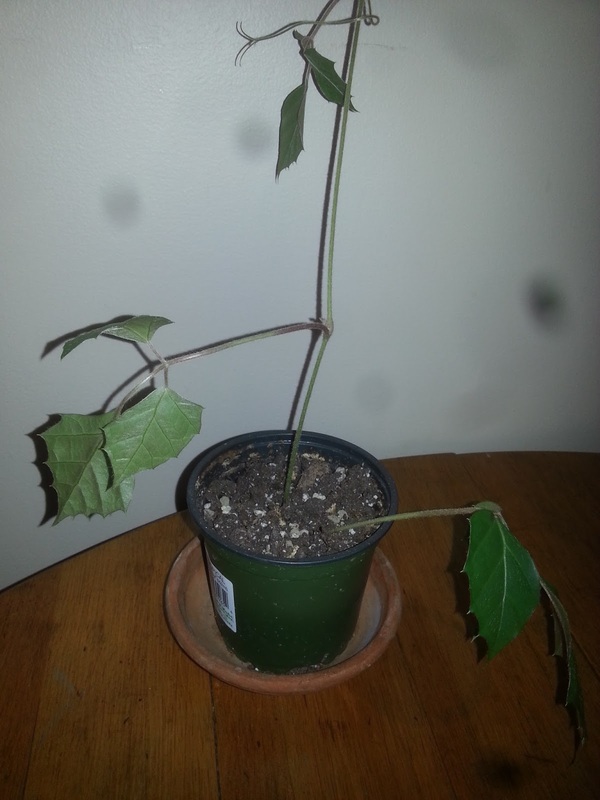 Be careful not to over water, as this can cause the cuttings to rot. Keep the soil moist, not sopping wet. If you live in a very chilly or dry area, you can place a loose plastic bag over your cuttings to create a greenhouse effect. Your little cuttings should have developed roots within a couple of months. I like to write down on the calendar when I started the rooting project, as it's so easy to forget. Have you ever propagated house plants before from cuttings? Which ones worked for you and which ones didn't? Let me know, I would love to hear from you.